I don’t know where the summer went, but with Labor Day upon us, it is definitely gone! We do have some sweet memories from this past summer though, and we’d like to share one with you that was told on our social media in bits and pieces. Connecting City To Farm partnered with two different groups of students in the Dallas area that had different roles, which were ultimately woven together to bless the community served by Brother Bill’s Helping Hand. 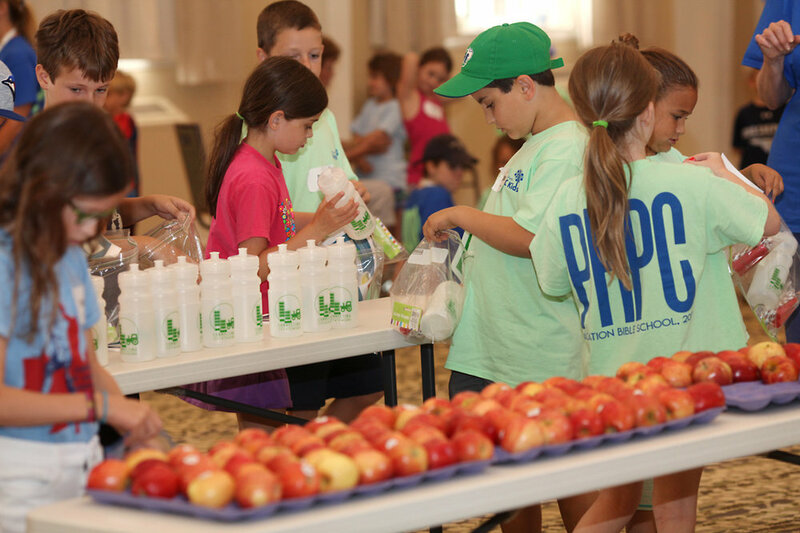 It started in June, when we had the distinct privilege of representing the story of the American farmer during Vacation Bible School at Preston Hollow Presbyterian Church. The team at PHPC was looking for ways to tie the farm into their curriculum for the week which involved lessons learned from harvest and nature. We brought the farm to the city and shared about the care and time farmers put into growing a crop from seed to harvest. Sharing videos from farmers in the field and dried cotton and corn stalks, Kris presented an animated glimpse into the life of a farmer. The kids were super engaged and gained more of an understanding of how food gets into their local grocery stores. In addition, the kids at PHPC made Healthy Connections Kits. These are kits that we use to promote 3 pillars of wellness: Eat Real Food, Move Every Day, Drink More Water. Each kit includes a water bottle, jump rope and nutritious snack. The students assembled these kits to be shared with our neighbors who live in a food desert and don’t have access to nutrient rich foods. The kits serve not only as a gift and encouragement for our under served neighbors, but they also raise awareness within the larger community about the realities of food insecurity within our city. Once the kits were complete, we packed them into big boxes and delivered them to another group of students in north Dallas. 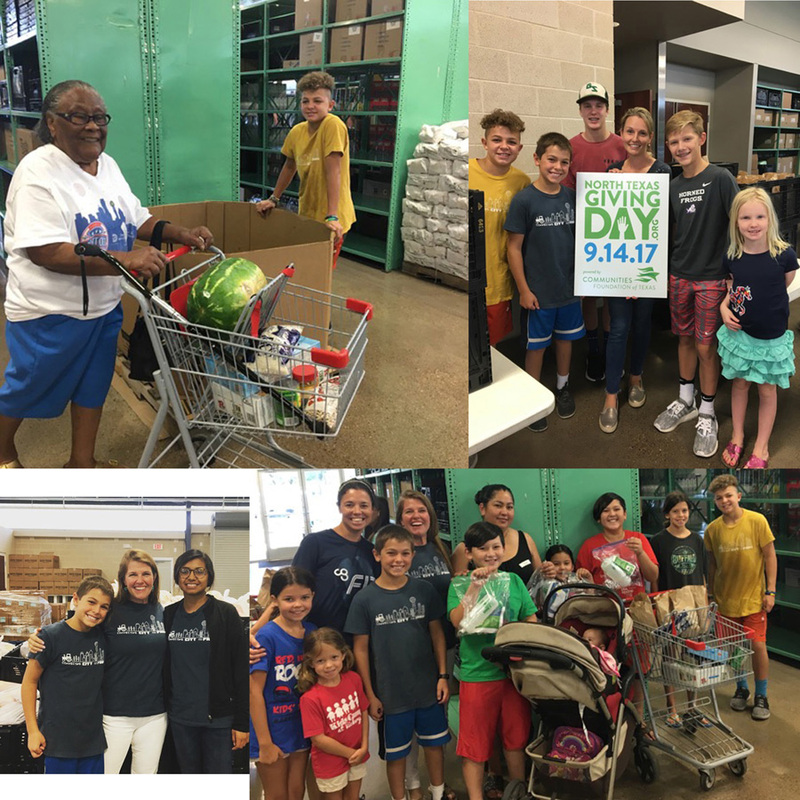 This second group of students volunteered all summer long preparing and serving sack lunches to the neighbors at Brother Bill’s Helping Hand. This summer, they were able to include the Healthy Connections Kits along with the lunches that were distributed. Brother Bill’s provides a multitude of services and resources to their west Dallas neighborhood including medical care, grocery shopping, job training, and discipleship. Kris and Rachel recently toured the facility and were overwhelmed with the quality of their programs and facility. Their staff is courteous and optimistic. It truly is a beacon of hope and stability in that community. Playing a very small part in serving their community was an honor for us. Our offering seemed small in scope compared to a neighborhood struggling with food insecurity and generational poverty. But, joining forces with 2 separate student groups around Dallas to serve a sweet community through an organization with the integrity of Brother Bill’s encouraged us about the good will and compassion among us. Yes, the summer moved along pretty fast. We’re so thankful for the opportunities we had to slow down and live in harmony with our community. We are stronger together! ****Below are some snaps of our volunteers distributing Healthy Connections Kits along with lunches and groceries at Brother Bill's Helping Hand.